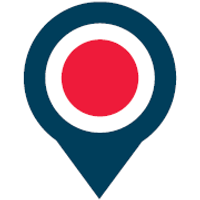 OnTheMarket Plc (LON:OTMP) has announced that it has listing agreements with UK estate and letting agents with more than 12,000 branches. This increase of more than 6,500 branches since Admission to AIM in February has been achieved in just over ten months. The announcement also notes: The figures include 60 offices, largely made up of smaller firms, which have recently entered full tariff paying listing agreements. These firms will receive new shares in OnTheMarket plc alongside the listing commitments they have made. The shares are subject to 5-year lock-in arrangements to ensure that new shareholders’ interests are closely aligned with those of all other agent investors. The listing agreements result from a limited pilot which has helped to refine the offers which will be made to agents currently on free trials which expire during the course of next year. Zeus view: We expected OTM to reach 12,000 offices in January 2019. OTM’s marketing activity continues to build the network ahead of plan. We estimate OTM has over 62% of UK Estate Agent branches. The reference to a small number of new firms entering full tariff listing agreements proves the effectiveness of OTM’s service proposition. While this statement has no impact on forecasts, it shows OntheMarket is making good progress. Equity value/office: In our opinion, equity market value per office (i.e. agent branch) is a useful indicator of value. At 137p a share OTM has over 60% market share and is trading on an equity market cap of £84m, which is under £7.5k/office.